Our Souls at Night” had its World Premiere at the Venice Film Festival back on September 1 – Now, mere weeks later, the folks at Netflix have released the film on select NY/LA screens for an Oscar Qualifying Run and on its streaming service for at home viewing for all of their subscribers. I got my chance to check the film out recently and so here I am to share my thoughts. Review: If you’re looking for a new drama to check out that’s light-hearted and sweet, look no farther than Ritesh Batra’s “Our Souls at Night” because this film is exactly that. As a drama, it doesn’t break any new grounds but that’s okay as it doesn’t really try to either. This film is a real easy watch as it’s not demanding of its viewers at all. It’s one of those slice of life films that’s sure to put a smile on your face and it works extremely well for what it is. As a result, I had a pretty good time watching it. As like most films of its genre: It really relies heavily on its script and the chemistry and performances of its leads and Batra couldn’t have chosen better actors for the film in this regard. 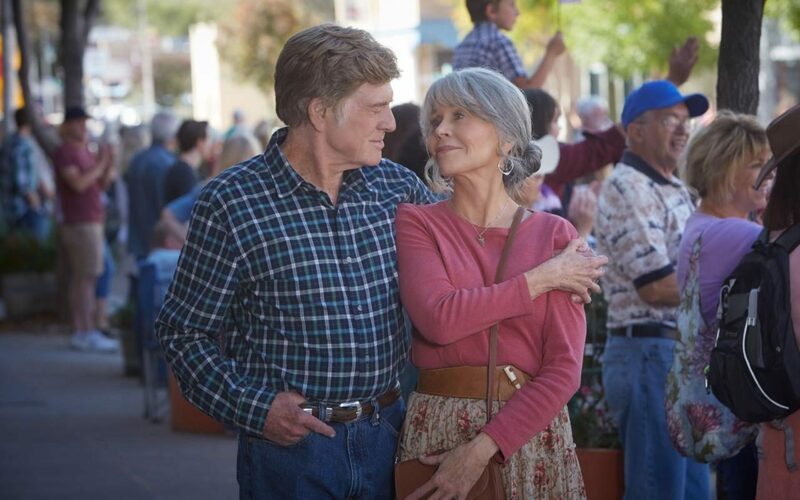 Hollywood veterans and Oscar Winners: Robert Redford and Jane Fonda play Louis and Addie and they have terrific chemistry here as they showcase why they are such beloved stars in the first place. This may be the fourth big screen collaboration between the two and so they may have had time to get into the swing of things but it’s still admirable that they make it all seem so easy in the progress. They don’t even seem to be trying at this point and they are easily the main draw for this film and rightfully so. To add to this, the film is well directed, written, shot and scored too. I don’t think it will be in the Awards Season talk this fall *despite Netflix’s attempts with an Oscar Qualifying Theatrical run currently underway on select screens in NY and LA* but it’s more than serviceable for what it is. What I liked most about the film, however, is that it never felt clichéd or got over sentimental where it easily could have. I was unable to predict how things would end up and the film never became too far *Hollywoodized*. In fact, the film feels more like an indie than a big studio production and it works much better this way. I was really pleased in this regard and I think most people will feel the same way. The film tackles some mature themes with subjects of grief, loss and loneliness all weaved in and yet, weak genre clichés are avoided here. Likewise, the majority of the subplots that are presented here go literally nowhere and like the film itself don’t receive proper closure in the end. These plots seemed to have been shoehorned in to add some tension/drama to the third act of the film *as up until this point there was no real conflict present*. I would still say that this is a solid film but these flaws are worth mentioning as they are most definitely present. In Conclusion/My Verdict: 3.0 out of 5.0 Stars – Ritesh Batra’s “Our Souls at Night” doesn’t break any new ground in its genre nor does it try to but for what it is – it’s a more than serviceable drama that I think is more than worth checking out. This is the Perfect Sunday afternoon watch and a great choice if you’re looking for a new movie to kick back and watch with your mother/grand-mother this fall season. It’s extremely well-acted with great performances from Hollywood veterans: Robert Redford &amp; Jane Fonda, it’s occasionally funny, really sweet and at times quite heartwarming too. If you’re interested in checking out the film for yourself you can click right here to log in to Netflix and begin streaming. This will be a sleeper hit. It will have no Oscars.